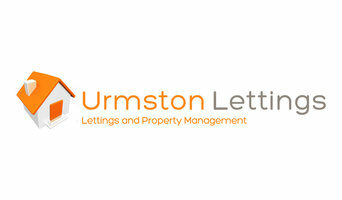 Estate and Letting Agents in Darwen and Blackburn. We are nothing like other property agents, and whilst our customers have voted us the best, we know you are No.1. Jennie Platt Estates and Lettings are independent specialists in properties in Prestwich and Whitefield whether you are looking to sell, buy, rent or rent out. Born and bred in Prestwich and with extensive experience of the property market, Jennie Platt is returning to her roots expanding her hugely successful city centre property company City Centre Chic and bringing a new approach and unique insight to homes in this thriving community. You can find Jennie Platt Estates and Lettings behind the ‘Big Yellow Door’, in the heart of Prestwich village - open seven days a week, with extended opening hours to suit you and convenient parking. Here at Jennie Platt, we will get to know you and what you need, taking the stress out of buying and selling, renting out or renting, with our dynamic five-strong team of qualified experts. And whether you are looking for the perfect home or want to sell or rent out a property, Jennie Platt Estates and Lettings has the answer through their extensive and homegrown contacts. After 23 years, in 2015, Charnock Bates became part of the Walker Singleton group, one of the largest independent property experts in Yorkshire. Charnock Bates are well established in the marketplace for sales of Country Houses, Listed Buildings and Period Homes in the area. Hiring a professional Blackley, Greater Manchester estate or letting agent really is essential in the modern housing market, so it’s important you find the right one for your move. Good Blackley, Greater Manchester estate agents will be trained to handle all the regulations, laws and standards relating to buying, selling and letting properties in your area and the UK, and even better letting agents and property agents will be able to advise you on location, price and ways of improving property value if you’re selling. 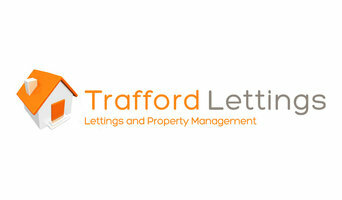 How do I choose a Blackley, Greater Manchester letting agents or estate agents? For many people, the estate agent or letting agent they end up using depends on the best properties they can find on property agents’ search engines online. But if you’re searching for a particular style of property in a particular area, then it’s a great idea to try to find a local Blackley, Greater Manchester estate agents that specialises in that style and area, and then they’ll be able to handle the search for you. If you are selling your house, it may be harder to work out which agent you should use. That’s why we’ve made it easier to compare each company on Houzz. We list Blackley, Greater Manchester estate agents that work exclusively with architect- and interior-designed properties, so if you’ve been hard at work redesigning your home to improve its value, you can find the property agents that will do it justice. There will even be Blackley, Greater Manchester property agents and companies that offer home staging and professional interiors photography, or work in partnership with other professionals that offer this, to show off your home to potential buyers. There are also some Blackley, Greater Manchester letting agents that will help you to get the best price for your property if you plan to rent it out, by helping you create an appealing home that can be adapted, but not majorly altered, to your tenants needs. 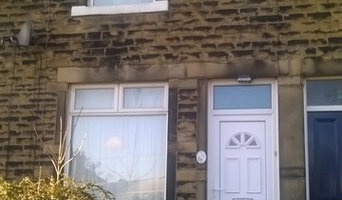 Of if you just need a traditional estate, letting or property management agency in Blackley that will sell your house for the best price, you’ll find plenty here too. Find Blackley, Greater Manchester estate agents, property agents or letting agents on Houzz. Narrow your search in the Professionals section of the website to Blackley, Greater Manchester estate agent or letting agent. If you’re in the market to rent, buy or sell a home, you may be interested in hiring other professionals as well. Here are some related professionals and vendors to complement the work of estate agents: Home Stagers, Photographers.